The same with DUE did not work. #Pull up 4k7 and 15k - no sucsess. Sorry to hear that, but how can we help? Or put another way, post your code, post your circuit... We can't mind-read!!! edit: The line Wire.begin(I2C_ADDR); will define the device at the address 'I2C_ADDR' as the master of the bus, so the pcf8574 was set as master. That will not work. You do not need a new P.C., you need a new O.S. Linux is free, safe, easy, fast and reliable. The change "Wire.begin(I2C_ADDR); to Wire.begin();" was the solution. Thanks everboby, who writes in this thread. I have used IO Expander with Arduino Mega. it work good. but later I switch to Arduino DUE for more processing power. but I got following compile error. 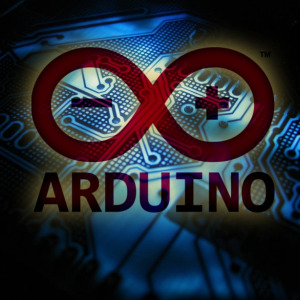 "C:\Users\Hi\AppData\Local\Arduino15\packages\arduino\tools\arm-none-eabi-gcc\4.8.3-2014q1/bin/arm-none-eabi-g++" -c -g -Os -Wall -std=gnu++11 -ffunction-sections -fdata-sections -nostdlib -fno-threadsafe-statics --param max-inline-insns-single=500 -fno-rtti -fno-exceptions -MMD -mcpu=cortex-m3 -mthumb -DF_CPU=84000000L -DARDUINO=10805 -DARDUINO_SAM_DUE -DARDUINO_ARCH_SAM -D__SAM3X8E__ -mthumb -DUSB_VID=0x2341 -DUSB_PID=0x003e -DUSBCON '-DUSB_MANUFACTURER="Arduino LLC"' '-DUSB_PRODUCT="Arduino Due"' "-IC:\Users\Hi\AppData\Local\Arduino15\packages\arduino\hardware\sam\1.6.12\system/libsam" "-IC:\Users\Hi\AppData\Local\Arduino15\packages\arduino\hardware\sam\1.6.12\system/CMSIS/CMSIS/Include/" "-IC:\Users\Hi\AppData\Local\Arduino15\packages\arduino\hardware\sam\1.6.12\system/CMSIS/Device/ATMEL/" "-IC:\Users\Hi\AppData\Local\Arduino15\packages\arduino\hardware\sam\1.6.12\cores\arduino" "-IC:\Users\Hi\AppData\Local\Arduino15\packages\arduino\hardware\sam\1.6.12\variants\arduino_due_x" "-IC:\Users\Hi\Documents\Arduino\libraries\Azande\src" "-IC:\Users\Hi\AppData\Local\Arduino15\packages\arduino\hardware\sam\1.6.12\libraries\Wire\src" "-IC:\Users\Hi\Documents\Arduino\libraries\PCF8574" "-IC:\Users\Hi\Documents\Arduino\libraries\RTClib-master" "C:\Users\Hi\Documents\Arduino\libraries\PCF8574\PCF8574.cpp" -o "C:\Users\Hi\AppData\Local\Temp\arduino_build_339666\libraries\PCF8574\PCF8574.cpp.o"
Error compiling for board Arduino Due (Programming Port).